VECT Ltd. d.b.a. 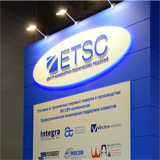 Engineering and Technical Solutions Center™ (ETSC™) specializes in Sales and Marketing of a rich portfolio of RF and microwave components and provides high quality engineering and technical support for complex solutions in microwave electronics. Since its establishment in 1996 the company has been constantly evolving with a special focus on RF products, gaining knowledge and expertise, expanding the range of supplied components and enlarging its customer base to include all the major manufacturers of high radio-frequency components, and became a considerable market player. One of the company’s key business goals is to deliver a balanced set of microwave components and modules for commercial equipment and special applications and provide engineering consultancy services. Our suppliers are the most respected manufacturers in the RF/Microwave industry offering innovative technologies. Our customers value us for the broad spectrum of critical components optimized for combined excellence in targeted applications and for the professional technical support. We’ve been successfully developing long-term relations with key suppliers for more than 10 years. Quality is a fundamental factor for us. Since we are supplying components used in responsible applications, we deal only with reliable, certified manufacturers. Our company is certified for GOST ISO 9001-2011 quality management system. Competence is determined by knowledge and experience of the staff, as well as their attitude to their work. Competence - this is our opportunity as a supplier of engineering solutions to ensure customers get the right product: to optimize the element base taking into accounts its costs, reliability, operation, and availability; to provide a comprehensive technical and informational support. Flexibility is the ability to change along with the market. It is very important for us to be a needed link between customers and manufacturers. We deliver product prototypes for specific projects and ensure the retail and wholesale supply of components at agreed price. Flexibility is the hallmark of our work style - it allows us to successfully solve the issues.